As we've noted before, Facer is pretty cool: it's a way to make or load custom watch faces and easily apply them to your Android Wear device. 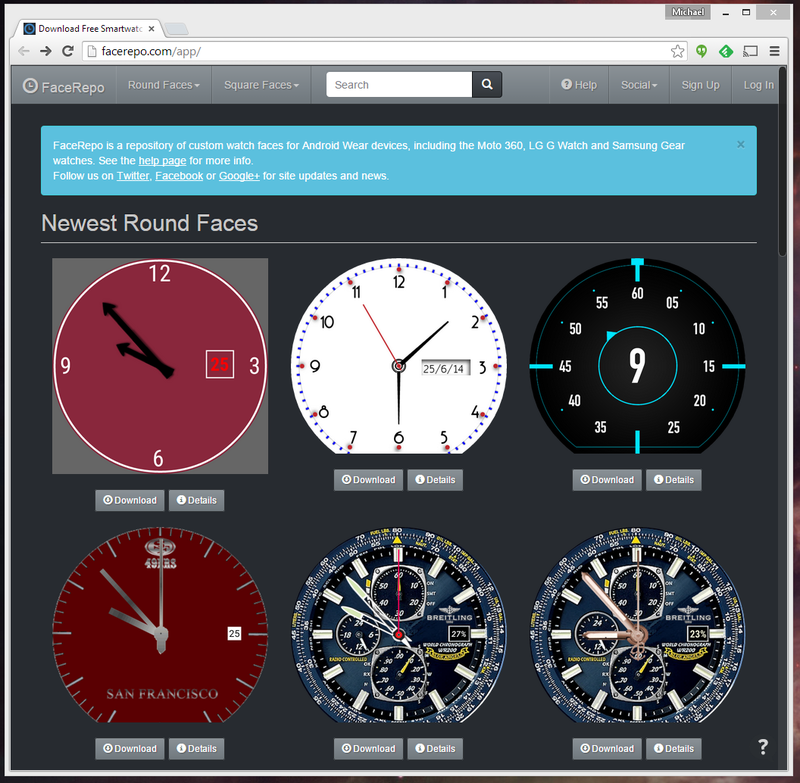 While the Facer app has its own built-in gallery of submitted watch faces, FaceRepo is an impressively varied alternative that allows you to browse watch faces on the web. User-submitted designs are split into round and square watch faces for the Moto 360 and G Watch/Gear Live, respectively. They should work with future models as well. To apply the faces, just download the ZIP file on any single entry and open it with the Facer app's built-in file browser. Badda bing badda boom, your Android Wear device has a snazzy new timepiece loaded up. Right now the selection isn't exactly world class, but that's to be expected: there are a few gems hidden in a lot of sports team and pop culture themes. 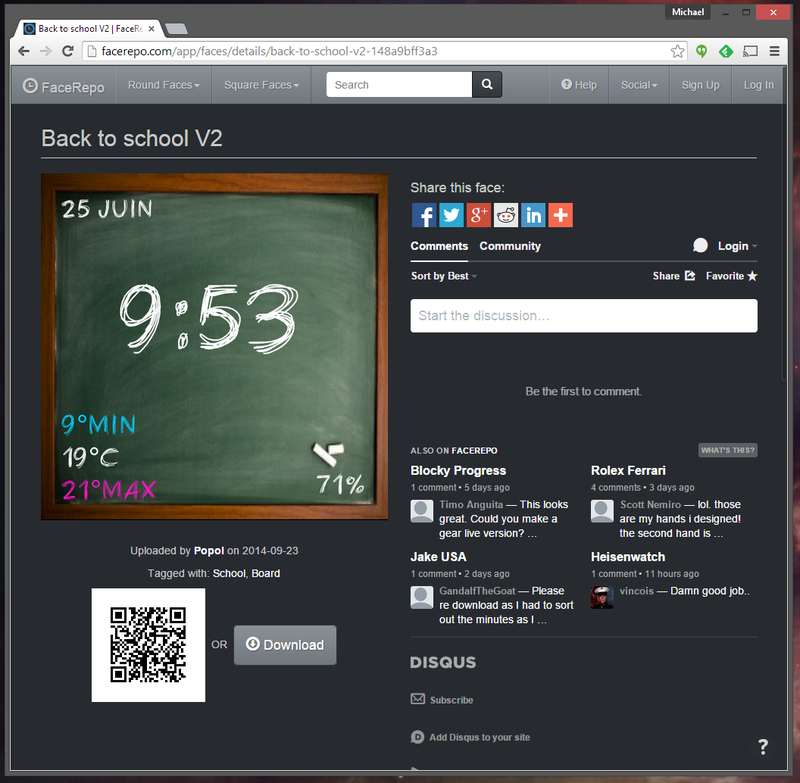 FaceRepo has integrated share links to all the popular social networks, and comments can be left on individual faces. Moto 360 owners, you'll be glad to know that there are more than a few designs that are specifically meant to be used with the watch's "flat tire" screen cutout. Check out the site for a wide array of interesting designs. It should work fine on Chrome for Android and other mobile browsers. Note: Just a heads-up to those who are planning on submitting watch faces to FaceRepo, or any other repository. Copyrighted logos, designs, and characters probably aren't a great idea - even if you're giving away your work for free, it could still be removed by a quick DMCA takedown. (That's unlikely at this point, but still a real possibility.) This includes designs based on real-world watches, especially if they include the logo of a famous watchmaker like the ones in the screenshot above.